Оригинальные сказочные задачи, опубликованные в течение 2012-ого года, участвуют в неформальном конкурсе JF-2012! Рада приветствовать на сайте первое произведение Индийского автора Gani Ganapathi! Circe Parrain: After a capture, the captured piece is reborn only after another piece of its own side has moved. The line between capturing square and rebirth square is parallel with and of same direction and length as the move of this other piece. Pawns can be reborn on 1st and 8th rank. From their own base rank, they may move one-step; if reborn on the promotion rank, the Pawn at once promotes, the promotion piece being determined by the Pawn side. Take & Make: Having captured, a unit must immediately, as part of its move, play a non-capturing move in imitation of the captured unit from the capture-square. If no such move is available, the capture is illegal. Promotion by capture occurs only when a pawn arrives on the promotion rank as the result of a take&make move. 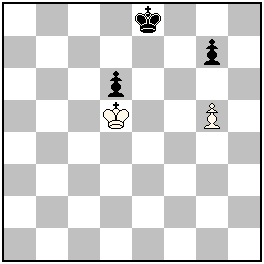 Checks are as in normal chess: after the notional capture of the checked K, the checking unit does not move away from the K’s square. Вы можете нажать на “Solutions”(решения) чтобы увидеть или спрятать решения! Все диаграммы сделаны на WinChloe и ее фонт Echecs использован для дизайна Лого. The solutions are unrelated. I would rather have the first solution alone, which is good !! But can we twin it with a better soln?